Here are a few Python Interview Questions for you! 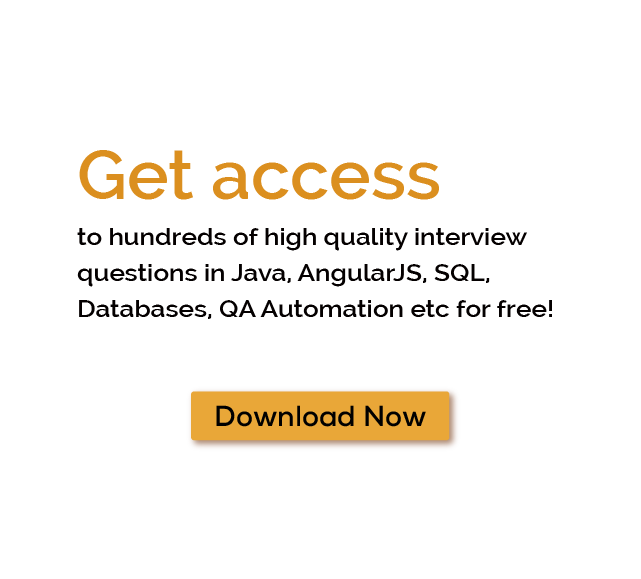 Download more High Quality Python Interview Questions! Why language is so important for every project. Does it matter when a developer works on the big project? And the answer is, yes, many programming languages are present now and they are really good and all of them have their advantages and disadvantages but when we talk about the comforts and security. No one is better than Python. Let’s find out the some new things about Python. Python is an interpreter, interactive and object-oriented language which is used for backend web development, data analysis, Artificial Intelligence, and scientific computing. Now developers are using python for desktop applications. If you are interested to develop web applications, Python is a better choice for development. The syntax of this language is very easy as compared to most of the other popular programming languages. Python proceeds at runtime by its interpreter, so there is no need to compile any program before executing. It is similar to PERL PHP. Nowadays python includes other languages like Jython and java for java virtual machine. They are also capable of interacting with other languages. Python has a comprehensive and large standard library which includes some dynamic features and automatic memory management function. It is very remarkable and easy to learn this language. Since a long time, lot of big companies rely on the language, SO as a python developer you can make a lot of money. Python is derived from another language including ABC, Modula-3, C, C++, Smalltalk, UNIX shell and the other scripting language. Nowadays, Python is maintaining by the core development team of the institute. Easy-to-understand: - Python has few keywords (reserved word), easy structure and very clearly defined syntax. It is very easy in read and write. Database: - Python provides an easy interface to all major databases. GUI: - Python supports GUI applications that can be created and ported to many systems calls, libraries, and windows system, for example, Windows MFC, Mac, and the all X windows system of UNIX. It supports all the functions of structured programming, just like OOP. Python is integrated with popular programming languages like C, C++, and Java. It provides very high –level dynamic data types and also supports dynamic type checking. Python is easy to learn for even a novice developer. Its code is easy to read and you can do several things with also you can execute more complex functionalities in an easy way. Since Python forms the basis of new platforms like Raspberry Pi. In this way to connected the language with this real word. Python is not such way verbose language. We can say that python reading is much like the English language. It’s no need to define curly braces in to define blocks. Python is the most popular programming language and it is free and open source, you can download the source code of it from the official sites. Python productivity is simplicity and extensive libraries render programmers more productive than languages like Java and C++, in fact, you need to write less and get more. Python integrates the Enterprise application integration that makes it very easy to develop web service by invoking COM. It has very powerful control capabilities as it calls directly through C or Java via Jython. Python also processes XML and other markup languages as it can run all the latest operating system via same bytecode. Python has made its presence on many desktop and server platforms, but it is seen as a weak language for mobile computing. That’s why few of the mobile applications built on this platform. The Python users become so accustomed to its features and its large libraries, so they face so many problems when they are working on other programming languages. Python experts may see the declaring of cast “values” or variable “types”, syntactic requirements of adding curly braces or semicolons as an onerous task. The Python language is dynamically typed, so it has many design restrictions that are reported by some Python developers. It is even noticed that it require more testing time and the error shows when the application run. There are several reasons available for choosing Python as the main programming language for big projects. As a security point of view, Python is very good. Many bank systems are developed using this language. It is flexible and provides more scalability for any software as compare to other languages. Some of the many Python Interview Questions listed below will help you get an idea about what questions gets asked in such jobs related to Software Engineering & Tech. Get through the Python Interview bar with our selected Python Interview Questions for all Python enthusiasts! For thousands of similar Python Interview Questions login to our Website or download EduThrill. Experience the thrill of challenging people around the world on Python Interview Questions!